Purchase of a brownfield development site extending to approximately 24 acres for residential and retail warehouse development. The site has excellent frontage to Cathcart Road, one of Glasgow's main arterial routes to the south of the city centre and is also located immediately adjacent to the M74 (Junction 1a). Purchased in April 2017 by Ediston with Clydebuilt LLP on an unconditional basis. 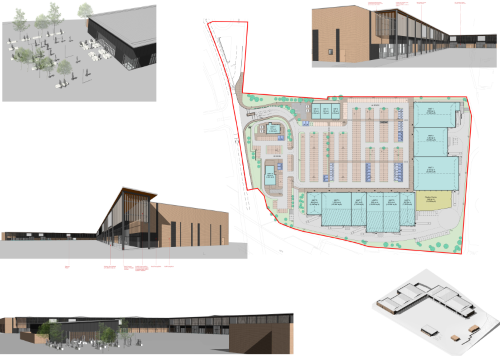 Planning has been submitted for a residential development incorporating 350 units and also a new retail park accommodating Class 1 and Class 3 uses and extending to 120,500 sq ft.
Pre-lets agreed with Aldi, Iceland, B&M, Costa and Burger King. Development expected to commence on site in May 2018.